You want to give the children in your care the best musical start! ♪ Are wondering, how can you use your music skills and knowledge to help the children? Good news! I have created an online training course to help! Over the years I have learnt and developed ways to help children explore the basic musical elements. 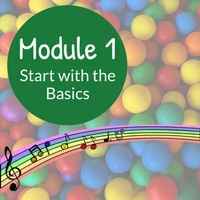 If you lead music times with children from ~3 to 5 years as a childminder, early years practitioner, day nursery owner/manager, or under 5s music class, then I have created my Musical Elements training for you! What if you could start that training right NOW? The course is delivered online and is there to access NOW! Keep scrolling to find out what is included. What are the musical elements? What to expect from the child? What can you do to help the child? You will reflect on your current understand and how you can help children with the musical elements. 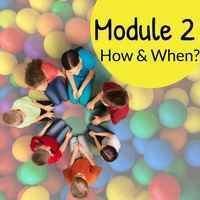 Module 2: How and When? How can you approach the exploration of the musical elements? When during your time with the children can you explore the musical elements? 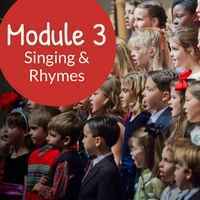 You will be able to identify how and when is suitable to explore the musical elements for the children in your setting. Starting with Songs and Rhymes! How can you use vocal play? You will be able to select songs and rhymes suitable for the children in your setting. What instruments do you have and how can you use them? 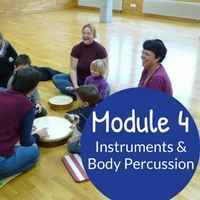 You will be able to select instrument and body percussion activities suitable for the children in your setting. Why include listening to music? How can you approaching listening with a focus on the elements? A selection of listening activity ideas each with an element focus. 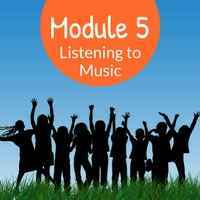 You will be able to select listening activities suitable for the children in your setting. By the end of the training course you will have the knowledge to deliver music activities that have a musical element focus! What are people saying about the training? The training is delivered online via a website. On signing up you will be given your own login details so that you can access the training whenever and wherever you want, 24 hours a day and 365 days a year. It could be used during PPA time or on training days. The training is delivered through videos, workbooks and checklists. You can download whatever you want to keep for your own use. It’s self-study, so you can do it at your own pace and you can watch the videos whenever you like, as often as you like. There is a also a Musical Elements Facebook group is just for those taking part in the course; a place where you can share your musical successes and frustrations in a safe non-judgemental environment. I’m Anne, a musician, composer, teacher, trainer and mum! I started teaching music to the under 5s in 1998 as a qualified primary teacher and was also the school Music Co-ordinator. After a break from teaching, to look after my own little people, I setup Musical abc in 2008 to teach music to the under 5s: classes for babies, toddlers and preschools. I have worked with many children and have gained and developed fun ways to help children explore music. I will be sharing my knowledge and experience of how I explore the musical elements through this course. This is my third online training course for Early Years Practitioners. My first, Magical Music Time, has really helped many with their music time. I love helping others and I’m excited to be launching this new course so I can help more people who work with the early years. I look forward to helping you bring the joy of music to the children in your care. Do I need to start the training now? No, you can purchase now and then start when you are ready. Do I need to complete the training within a set period of time? No, you take as long as you need to complete the training. As it is online you can re-watch videos time and time again. Very easily! As long as you have access to the internet on a device (phone, tablet or computer) you can access the training. All the training is done on a secure website. On signing up you will allocated a username and password. Then, click on the link for the secure website, enter your login and password that’s it you can start your training! Super easy! I'm worried about entering my payment details online, how do I know it is safe? All payments are done securely through Stripe; your payment details are never disclosed. - Can I share the training with other early years colleagues? Each training place purchased is for an individual to watch and work through. Although if you work in a nursery and one member of staff undertakes the training and then wishes to pass on the knowledge and activities to others in person that is fine. 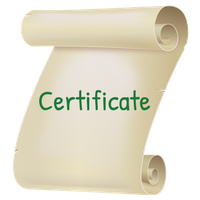 However, that person CANNOT share their login details and the training material in electronic or printed format: e.g. videos, workbooks, checklists. - Can I do the training if I run an under 5s children’s business? Yes, the training and activity ideas you are free to use to teach young children. However, they are for your own use. They cannot be used for you to train others for financial gain. - I’ve done your Magical Music Time training, is Musical Elements the same? No, they are two different courses. Musical Elements is the next stage from Magical Music Time (Magical Music Time is about understanding children’s musical development and how to lead a music time). You can do this training without having done the Magical Music Time. Although I would advise only signing up if you already feel confident in leading a Music Time. Would you like help with your Music Time before you start working on the Musical Elements? I have created a MUSIC TIME BUNDLE to purchase both Magical Music Time and Musical Elements training at the best price ever! Both with everything you would get if you bought them separately. CLICK HERE if you would like to read more and to purchase the Music Time Bundle.